Why Aren't London's Airports Actually In London? James FitzGerald Why Aren't London's Airports Actually In London? 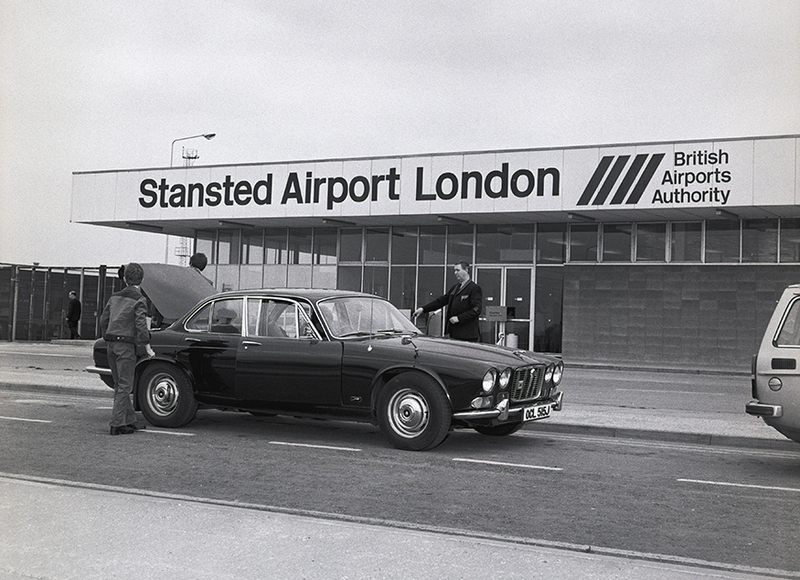 By 1969, Stansted was a 'London' airport. Photo courtesy of London Stansted Airport. City, Gatwick, Heathrow, Luton, Southend, Stansted. All of them are officially classified as international ‘London’ airports. But only two of them are inside London’s ring road. Only one of them has a London postcode. And not one of them is in an area that would have been considered part of London in medieval times. Granted, you can define the outer limits of London in all kinds of strict and less-strict ways – from the tight historic boundaries of the Roman walled city, to the vast enclosure created by the M25. But airport nomenclature seems to rely on the most liberal definitions of them all. And if you want to see the resultant confusion in action, simply search TripAdvisor for the names of London’s more distant airports and watch the questions from stranded travellers come rolling in. At the (South)end of your tether? Only in the aviation business could an Essex seaside town — some 40 miles by road from Trafalgar Square — use the name of the capital. But that’s precisely what happened when world airline body IATA gave Southend Airport a ‘London’ designation a few years back. Now, an experienced air traveller tends to be pretty shrewd. They’re capable of spotting good deals, timing their ticket-buying well, and knowing how to land a plush upgrade here and there. They also know that an airport’s stated ‘location’ tends not to be literal. It just expresses a linkage. Still: for many, the name London Southend Airport just doesn’t fly. Yet at the time, its bosses made a compelling case about the short distance between plane cabin and train platform there. It means the overall journey time into central London could be called comparable to those of Southend’s rivals. 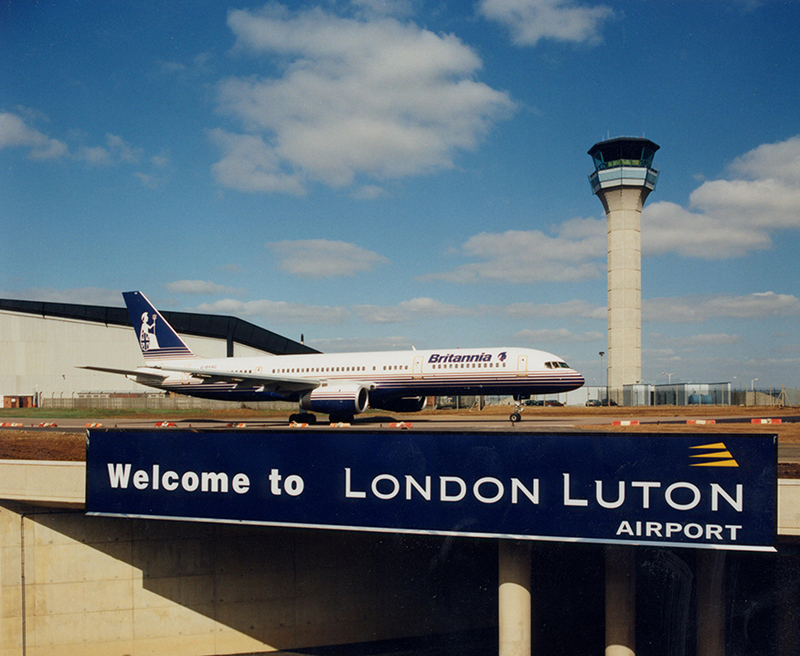 Luton, pictured in 1996, shortly after its rebrand. Photo courtesy of London Luton Airport. Besides, the alternative options are not without their transport drawbacks. On-the-day, anytime return fares on Heathrow and Gatwick’s express rail services currently weigh in at £37 and £36.70 respectively. Meanwhile the Stansted train takes 47 minutes to reach the city centre, and the average journey from Luton’s station into London takes 40 minutes, plus a ten-minute shuttle bus. Fair enough, you say. Everyone knows London’s airports mostly aren’t in London at all. They’re in the surrounding countryside, having served as military airfields before they decided to go commercial. So when did they all become ‘London’ airports? The London ‘name thing’ might feel like a modern affectation, but this estate agent-like ploy has actually gone on much longer than you’d think. The international airports have enjoyed their London monikers for at least 25 years — except London Southend, which rebranded in 2012. 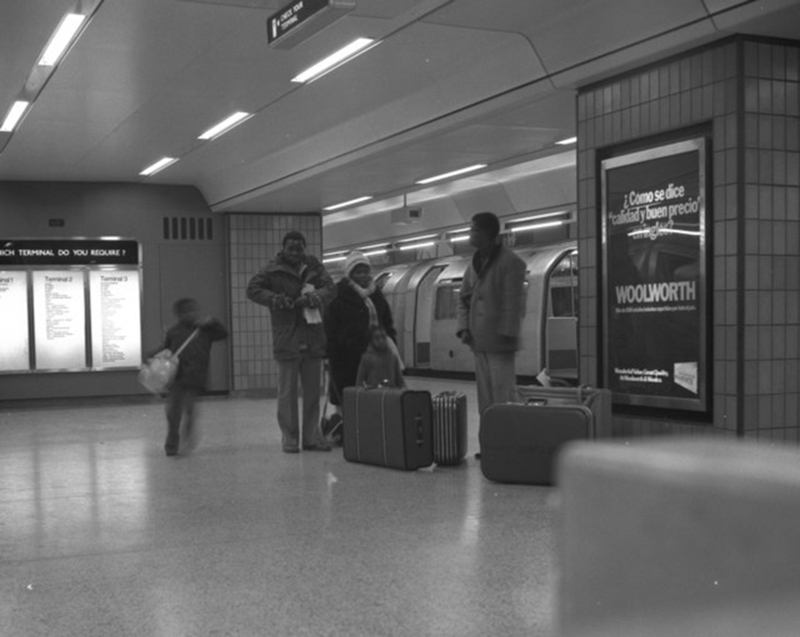 Passengers navigate Heathrow's world-first underground airport link in the late 1970s. Photo by Dr Neil Clifton. Heathrow’s London claim is pretty airtight. A former RAF base deployed in the second world war, it was known as London Airport from the day it converted to civilian use in 1946. It gained its current name a little later, as a means of differentiating it from Gatwick. This modern, multi-terminal monster proudly remains the only airport on the tube, although it only earned its world-first underground connection in 1977 as a result of its hopeless access to central London. Initially, passengers had to be chauffeured there, or else rely on the convoys of buses which left from Kensington. At one point, a monorail was suggested as the solution to their woes. As the post-war government woke up to the boom in air travel (and all the timeless questions that raised about airport capacity), Gatwick was earmarked as London’s official sidekick to Heathrow, supplanting the nearby Croydon Airport. Croydon had operated the country’s first ever international flights. But it was closed in 1959 as it lacked room to expand. So if you’re wondering why London’s airports are mostly outside the city — well, there’s your answer. They need the land, mate. 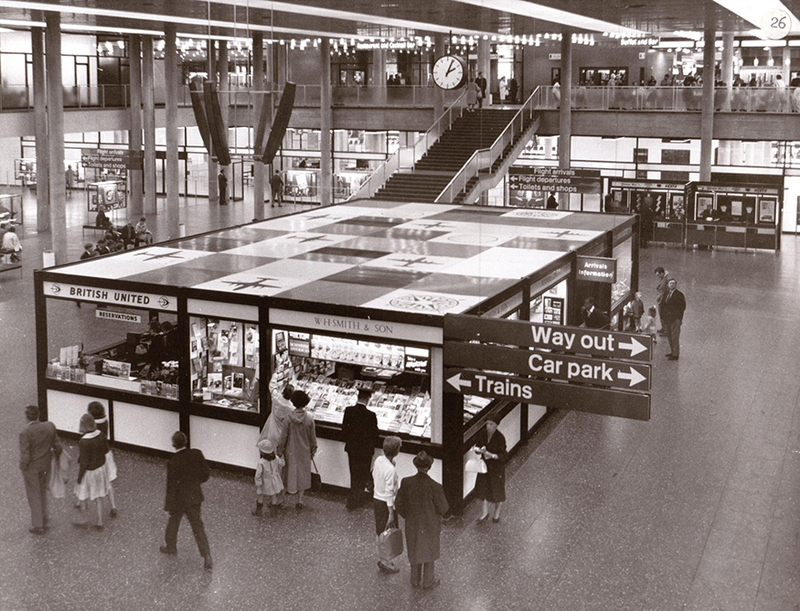 Gatwick's South Terminal in 1960, just after its overhaul. Photo courtesy of London Gatwick Airport. Gatwick was considered a London airport as soon as it reopened in 1958, following an overhaul of its buildings. The new facility boasted the world’s first direct rail link. Arguably it’s this historic asset which has let Gatwick boast more loudly about its London credentials than the likes of Luton, which is actually a comparable distance away from central London. Stansted, another former military airbase, has had London in its name since the 1960s — which is when it was converted to commercial use. To the train traveller, though, the Essex facility’s London prefix became a bit more plausible when it got its first railway link to the capital in 1991. Luton became London Luton in 1990 to reflect its growing usefulness — and perhaps also the fact it’s actually a tiny bit closer to the centre of London than its nearby rival, Stansted. Again, the legitimacy of the claim was helped by the opening of a railway station, which came along in 1999. City, the youngest of them all, has had a London designation its whole life. It was built as part of the redevelopment of London’s docklands, and opened in 1987. Its strong claim to London-ness is boosted even more by the fact that it, uniquely, has a London postcode: E16 2PX. The jury's out on this one. Photo by Dreamliner 2012. Whether you like it or not, it’s easy to grasp why any airport reasonably close to Greater London would look to claim an association with one of the world’s greatest cities. To come back to the question of how they ‘get away with’ putting London in their marketing — well, it’s pretty easy really. The Civil Aviation Authority told us the issue of names isn’t something that bothers them. That means airports are free to call themselves what they like in the eyes of the country’s main regulator. It appears that an airport’s designation, at most, affects how its data gets grouped. And the relevant trade body says it doesn’t advise on what it calls commercial decisions like naming. The Airport Operators Association explained that it’s a simple question of credibility. In other words, an airport has to work out whether customers will reject its claimed link to London or not. 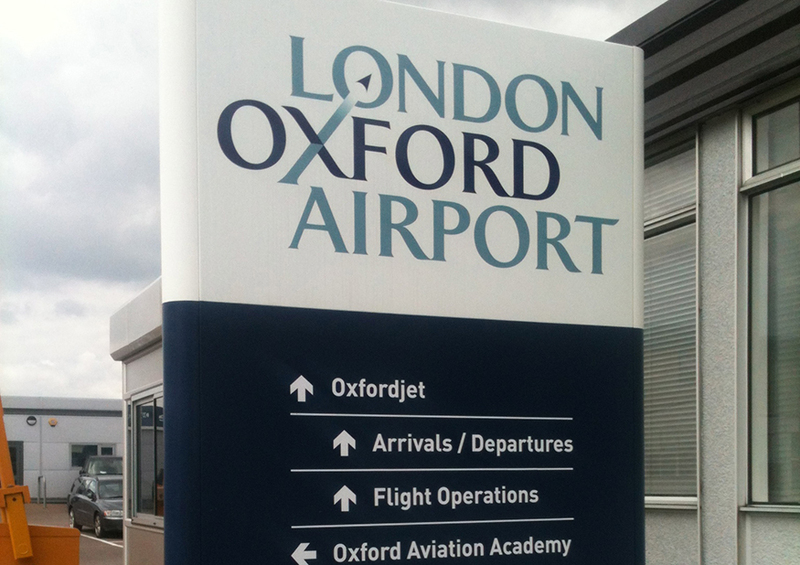 Business-focused Oxford Airport has been winging it as ‘London’ Oxford Airport since 2009. Its rebranding was derided, because there’s a full 60 miles between Oxford and Trafalgar Square. It’s soldiered on regardless. Postcode wars? City Airport pictured in 1992. 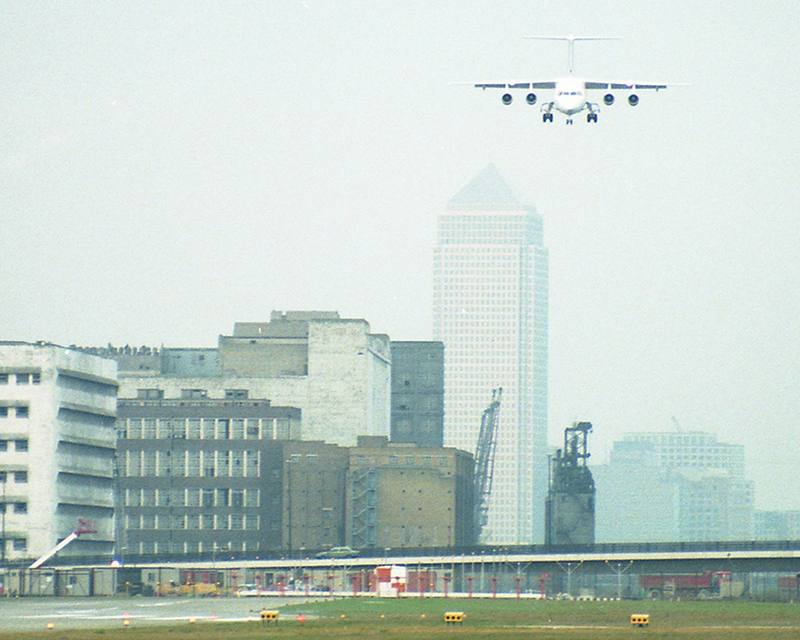 Photo courtesy of London City Airport. But recent messaging from City Airport implies there are strong feelings about this within the industry. Using the postcode argument, City claimed in 2017 to be “the only airport actually located in the city of London”. Advertising watchdogs threw out a complaint made against the advert. Everyone wants a piece of London, and who can blame them. We’d name a lot more stuff after this place if we could. But after years of uncontested claims, does the City case show the industry is finally trying to regulate its own marketing? Strap in — there could be turbulence ahead!